Previous work includes: (iii) spacetime geometry without supersymmetry, possible instabilities therein (manifested by e.g. tachyons in the closed string spectrum) and the resolution of possible singularities which also dovetails with their algebraic geometry description and associated physics e.g. topology change (flips), (iv) gauge theories arising on D-branes and their associated geometry, (v) the dynamics of dyonic states and their internal structure in gauge and string theories, (vi) black holes in general relativity, and so on. Here are some talks (pdf files) I've given over the last few years. Publications : my papers, available at Spires/inSPIRE, arXiv . Mailing address : Chennai Mathematical Institute, Plot H1, SIPCOT IT Park, Siruseri 603103, India. 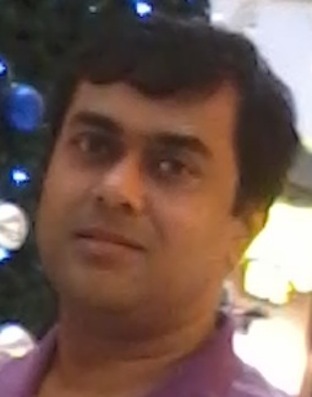 Present (2014-): Professor of Physics, Chennai Mathematical Institute. Associate Professor (2007-'14), Physics, Chennai Mathematical Institute, and Ramanujan Fellow ('08-'13), Department of Science and Technology, Govt. of India. Postdoctoral Research Associate (Aug 2004-07), Department of Theoretical Physics, Tata Institute of Fundamental Research, India. Postdoctoral Research Fellow (Aug 2002-04), Center for Geometry and Theoretical Physics, Duke University, USA. Ph.D. (2002): Newman Lab. of Elementary Particle Physics, Cornell University, USA. B.Tech. (1997): Engg. Phys., IIT Bombay, India. National Organizing Committee, Indian Strings Meeting ISM2016, international string theory conference, Dec 15-21, 2016, IISER Pune. National Organizing Committee, Indian Strings Meeting (ISM12) international string theory conference, Dec 16-21, 2012, Puri. Co-organizer, Indian Strings Meeting (ISM08) international string theory conference, Dec 6-13, 2008, Pondicherry. String theory seminar organizer, CGTP, Duke U., Aug '02-'04.